If you’re still filling out your tax forms, it may be tempting to cut some corners and tell a few white lies. But as the ethics-deficient politicians listed below can tell you, tax evasion doesn’t end well. Here’s a guide on “what-not-to-do,” courtesy of political figures, past and present. Spiro Agnew. The only vice president to resign due to criminal charges, Agnew left office in 1973 just ten months before Richard Nixon’s departure would have made him president. Instead, he pleaded “no-contest” to one count of income tax evasion, and, in exchange for his plea and resignation, federal prosecutors dropped a slew of other charges—including accepting bribes, extortion and other instances of government corruption from his time as vice president, Maryland governor, and Baltimore County Executive. Timothy Geithner. Those of us intimidated by the endless paperwork that the IRS demands should find it reassuring that even the U.S. treasury secretary has trouble filling out his tax forms. 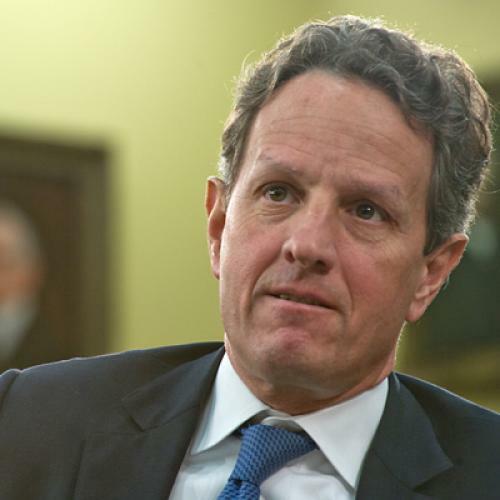 Geithner’s sins—he failed to pay Social Security and Medicare taxes for a number of years while he working at the International Monetary Fund—came to light when he was being vetted in 2009, but it didn’t sink his confirmation. He has been reported as saying he should’ve known better, but that the mistake was unintentional. Tom Daschle. As with Geithner, Daschle’s tax problems emerged when President Obama tried to nominate the former Senate Democratic leader to head the department of Health and Human Services. Daschle, though, withdrew his name from consideration when questions arose about his failure to fully pay his taxes from 2005 through 2009. Charles Rangel. After a two-year investigation, the House of Representatives found veteran congressman Charles Rangel guilty of 11 congressional ethics violations, including failure to pay taxes on a Caribbean vacation home. The Democrat from Harlem—who reluctantly stepped down as chair of the House Ways and Means committee amid pressure from Democrats and Republicans—tearfully pleaded for “fairness and mercy” from his colleagues, but he wasn’t able to escape formal censure from the House. Jack Abramoff. The once-powerful lobbyist pleaded guilty to tax evasion charges in early 2006. Among a laundry list of other financial misdoings, Abramoff admitted to falsely reporting that some of his money went to charity when it actually went to funding a golf trip in Scotland. Abramoff agreed to pay $1.72 million to the IRS and $25 million to various parties on other conspiracy and fraud charges. Webster Hubbell. A famous friend of the Clintons and former associate attorney general, Hubbell resigned from his federal post in 1994 over an investigation into his tax returns and mail fraud. Hubbell was found to have falsely charged clients for hours he didn’t work while a lawyer at a law firm in Arizona; he then failed to pay income taxes on the money from those fraudulently billed hours. Gerald McCann. Jersey City Mayor Gerald McCann was found guilty of 15 charges of fraud and income tax evasion in 1992. Of course, he isn’t the only tax-embattled New Jersey mayor. In 2002, former mayor of Paterson, Martin Barnes, pleaded guilty to mail fraud and tax evasion. And the former mayor of Asbury Park, Kenneth “Butch” Saunders, pleaded guilty in 2005 to filing false tax returns for 1997, 1999, and 2000.